The primary reason your basement and home can flood during a rainstorm is due to poor or blocked drainage. Even a small amount of water can lead to a major claim. 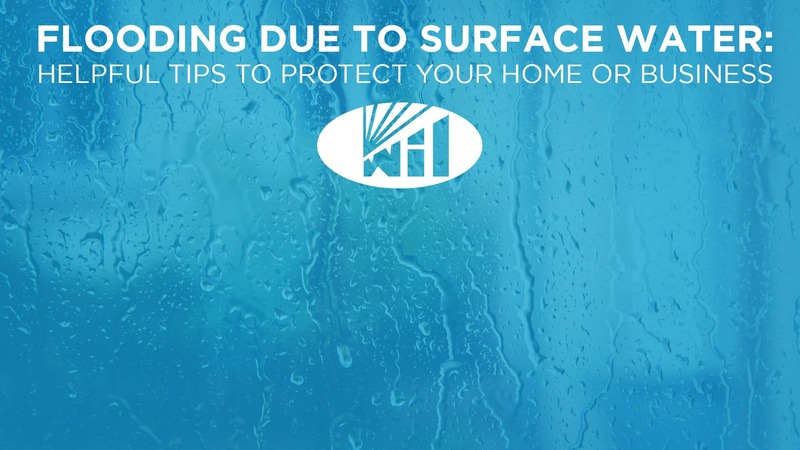 To help you keep water from seeping into places it’s not wanted, use the following precautionary measures you can take to protect your home and its belongings from flooding due to surface water. Make sure that the ground area within three meters of your home slopes away from your home’s foundation. Extend downspouts at least three meters from your home. Direct water flows from downspouts away from your home, being careful not to discharge the water too close to the adjacent property. Preventive landscaping can also help reduce the chance of a mudslide or flooding. Clean the gutters and the drainage downspouts attached to your roof at least twice a year. Have your roof carefully inspected at least once a year by a knowledgeable professional. If your house or commercial lot is at risk of flooding from a higher neighbouring property, consider building a solid wall masonry fence on the water-vulnerable boundaries of your property. Be vigilant for warning signs of an impending water flood problem. Read more on how to make your home flood ready. Plan ahead! If a flood occurs, be familiar with how to shut off electricity, gas, and water at main switches and valves. Knowing how to do this ahead of time will help you to react quickly and minimize potential damages.